For many homebuyers, taking out a mortgage is often a confusing and cumbersome process. Loanopoly attempts to streamline mortgage origination with its free online tool and mobile app. The Loanopoly app, launched in February 2016, was developed by Underwood Mortgage Group in collaboration with a former technical architect for Disney — perhaps an unsurprising fact given the app’s fun design. The mortgage tool is intended to guide homebuyers through the mortgage process, step-by-step, much like the popular board game it borrows its name from. Once logged in, the homebuyer is shown a game board with a square dedicated to each step of the mortgage and homebuying process. A homebuyer who does not yet have a lender or real estate agent may select from a list of third-party lenders and agents that advertise through Loanopoly. Alternatively, the homebuyer can search the database of app users by name, location, phone number, company name or license number. The mortgage-shopping feature attempts to bypass the application process by allowing the homebuyer to give lenders access to uploaded information and review mortgage quotes, one at a time. Otherwise, the homebuyer may invite their existing lender (and real estate agent) to join, giving them access to the board. As they progress, Loanopoly offers the homebuyer tips and instructions, including a helpful glossary of mortgage terms and homebuyer FAQ’s. The lender checks off items they receive and sends reminders to the homebuyer for information the homebuyer needs to submit. Each step on the board is filled in to indicate completion by the homebuyer or lender. track the status of the mortgage in real-time through the online website or mobile app. When used by real estate agents, the app also keeps an organized list of clients the agent has invited to the app and stays updated on the status of each of their mortgages. 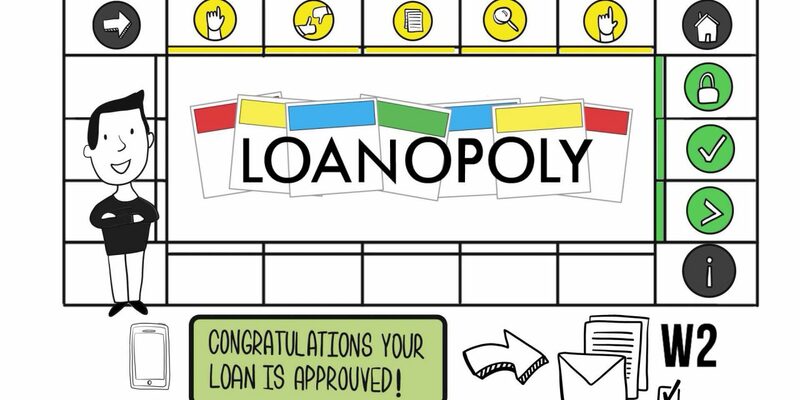 While tracking a mortgage is not the light-hearted game this tool makes it out to be — a gimmick some may find off-putting — Loanopoly does make good on its promise to simplify the mortgage process and provide transparency to homebuyers. The board game design offers a visual guide to mortgage origination that is straightforward and easy to follow, particularly for first-time homebuyers who are unfamiliar with the mortgage and homebuying process. Loanopoly’s function as a type of social networking hub also keeps lenders, homebuyers and real estate agents in the loop at all times, eliminating uncertainty about the status of a mortgage. The aggregation of mortgage documents and information allows participants to organize and track the mortgage through each step of its origination. With real time updates accessible through the mobile app, real estate agents no longer have to contact the lender and homebuyer as the intermediary to inquire about the mortgage and bridge information gaps in the origination process. Of course, real estate agents still need to honor their fiduciary duty to advise their homebuyer clients. To this end, Loanopoly may actually aid agents since the app provides all the information they need to follow the status of a mortgage and properly advise their client. However, with the Loanopoly app being so new to the game, it remains to be seen whether users will run into issues with its features and functions. The app has yet to develop a loyal fan base, and few in the real estate industry have rated or reviewed it. For this reason, the app may not be the best tool for mortgage shopping, as the pool of lenders on the app is still small and growing. Further, agents and homebuyers may be hesitant to upload sensitive mortgage documents to a third-party app. While the Loanopoly creators strictly regulate access to mortgage information at any time and enforce industry-standard security measures — all data is encrypted — using an online app does inevitably present some amount of risk. 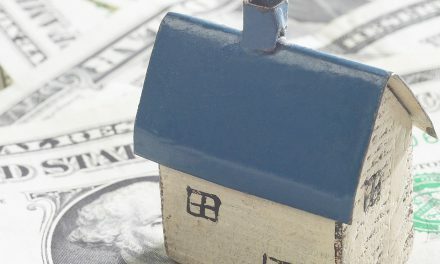 The app’s attempt to bypass mortgage applications may also fall short as some lenders will likely still require homebuyers use the conventional application process. As with any new technology, time will tell whether Loanopoly will become a popular app among agents and earn a lasting place in the industry. In the meantime, Loanopoly’s features and services do seem like promising tools for use after selecting the mortgage lender and throughout the mortgage origination process. PreviousClient Q&A: What is mortgage insurance? NextClient Q&A: What’s the difference between a recourse and nonrecourse mortgage?